If you want to find the route through Vietnam during 15 days, Vietnam Drive will suggest you the journeys as below. You can modify this trip or ask us to support you to customize to fix your hobby and limited time. Through Vietnam, there are many famous destinations for you to explore. 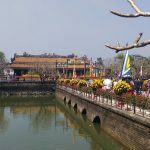 From Hanoi to Ho Chi Minh is long distance, so the general recommendations for you are to use the flights or trains for one distance to reduce your travel time. This way will help you avoid being rush. Now we check the route through Vietnam during 15 days from Hanoi to Ho Chi Minh and Mekong Delta. Day 1: (morning) Transfer from Hanoi to Ninh Binh – Visit Trang An, Bai Dinh, Cuc Phuong. Drop off at hotel in Ninh Binh (8 hours serving). Day 2: Transfer from Ninh Binh to Quang Binh by night train. You can choose to drive by car. Day 3: Pick up from the train station to the hotel to relax. In the afternoon, visit Paradise Cave in Phong Nha Ke Bang. 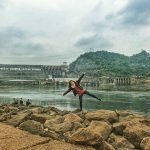 Day 4: Transfer from Phong Nha to Hue. Stop at Vinh Moc Tunnels. Drop off at the hotel in Hue. Then drive to visit 2 Royal Tombs: Minh Mang, Khai Dinh (max 9 hours serving, <260km). Day 5: Transfer Hue to Bach Ma National park. Drop off Bach Ma Gate. (2 hours driving, 60km), or drive you up to the top (max 6 hours serving, 100 km). Day 6: Transfer from Bach Ma to Danang. Drop off hotel in Danang (2.5 hours driving, 70km). Day 7: (morning) Danang to Hoi An, stop some places on the way: Marble Mountain, Cham Museum, Linh Ung Pagoda on Son Tra Island (6 serving, <80km). Day 8: (morning) Hoi an – My Son – back hotel in Hoi An. Stay overnight in Hoi An (4 hours serving, 90km). 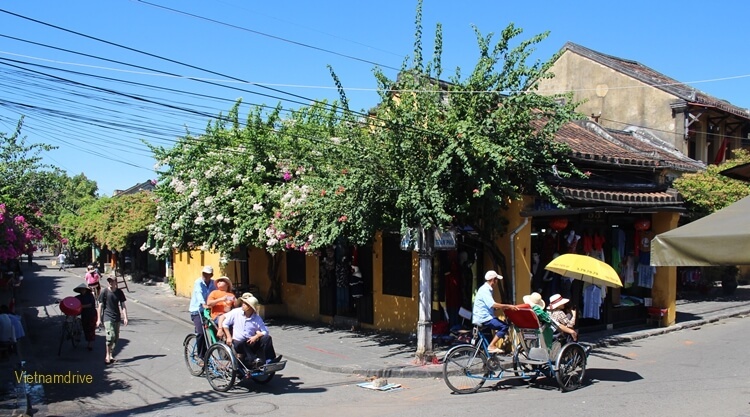 Day 9: Transfer Hoi An to Qui Nhon, via My Lai historical war relics, and Sa Huynh Beach. Drop off the hotel. (9 hours serving, 390kms). Day 11: Transfer from Nha Trang to Da Lat, visit Dalat 2- 3 hours (8 hours, 160km). Day 12: Transfer Da Lat to Cat Tien National park (4 hours driving, 210kms). Day 13: Transfer Cat Tien National park to Ho Chi Minh City (170km) . Day 14: Transfer from Ho Chi Minh to Ben Tre, then to Can Tho ( 215 km, 9hours). Day 15: Visit Can Tho city, floating market, in the afternoon, drive back Ho Ho Chi Minh City. We finish the drive for your own time or departure.